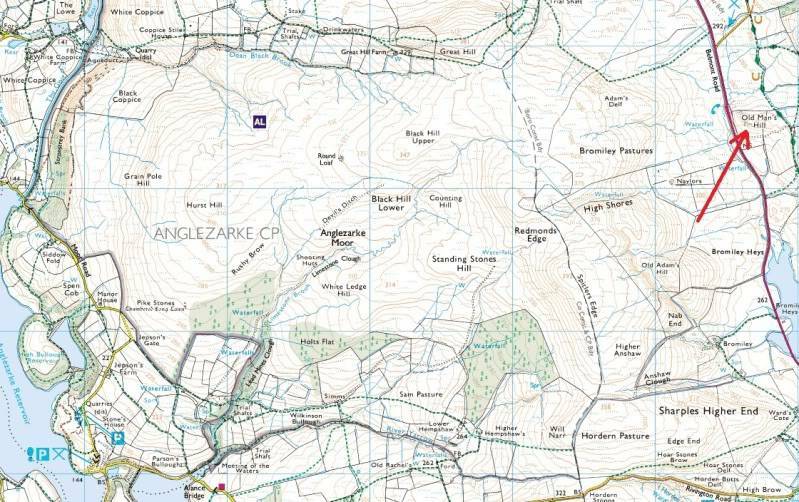 I've just had a call from a Mr Hazell and we've decided we're gonna have a Megalith Walk to visit the clusters of prehistoric sites upon Anglezarke Moor, plus Winter Hill and its megalithic ruins, on Thursday, 13 July, 2011. The sites are to be found on the moorland heights between Bolton and Blackburn. More details (meeting place, times, etc) are to follow in the next day or 3. If you wanna visit some megalithic sites in Lancashire on July 13 - WATCH THIS SPACE!!! Go on where were you thinking of parking ? I might just manage Old Mans Hill if we park on the road next to it. I believe the idea is to go from there, to sites on Winter hill that you can virtually drive up to. John will be adding details soon I hear. Just gone to pencil in on calendar and Thursday is the 14th so just checking ? I think (hope) these posts can be edited. As long as we get there before the 21st Dec 2012 (that's on a Friday btw) we shouldn't miss them. That's if the Elenin brown dwarf, doesn't see us off in September. Good job Eisenhower organized D Day, and didn't ask us to sort it. deadagaindave wrote: ...As long as we get there before the 21st Dec 2012 (that's on a Friday btw) we shouldn't miss them. That's if the Elenin brown dwarf, doesn't see us off in September. wtf RU on mate? You've not been doing that Datura before it's ready 'ave y'!? So it's THURSDAY the FOURTEENTH then. They've changed my medication. I have to eat 2 bananas and four pennorth of sweet and sour pork balls daily. It pissed down, I thought "What a lark! In my flash mac, after dark".